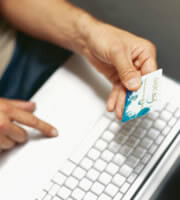 Average credit card rates for new accounts stabilized in the last two weeks, according to the latest survey by IndexCreditCards.com. Rates for every card in the survey sample stayed the same. Although no change is better than an increase, the rates are nothing to cheer about. At 16.85%, the average rate for the overall consumer market is the highest level since IndexCreditCards.com began tracking rates five years ago. Rates are better on non-rewards credit cards, which average 15.43%, than rewards credit cards, which average 17.46%. Credit card rates rose rapidly in the last year as issuers braced for impact of the Credit CARD Act, including new rules that went into effect in February restricting interest rate increases on existing accounts. There is no cap on rates offered on new accounts. The average overall consumer credit card rate broke the 15% threshold in September 2009 for the first time in two years and topped 16% in early December. Except for a couple of tiny dips, rates have been inching up ever since. These rates are especially high considering they're variable and are likely to rise further. Issuers charge a fixed margin on top of an index, such as the prime rate. Now at just 3.25%, the prime rate has nowhere to go but up. That probably won't happen this year, as the Federal Reserve continues to keep the fed funds rate, which influences the prime rate, ultra-low. But bank economists expect consumer lending rates to go up sometime in 2011 as the economy continues its slow recovery. Although new federal credit card regulations don't let credit card issuers raise the rates they charge on new purchases during the first year of an account or on existing balances, variable rates consumers pay still can go up with increases in the index. Consumers who pay all their bills on time, have a low debt-to-credit ratio, and have good experience handling loans and lines of credit can find better-than-average rates. The average rate for consumers with excellent credit is 12.83% overall, including 10.86% for non-reward credit cards and 13.68% for reward credit cards. Rates for business credit cards and student credit cards have remained relatively flat in the months since the new credit card rules went into effect. The CARD Act regulations don't apply to business credit card accounts, although some issuers are voluntarily extending most of the key consumer protections to their small-business customers. The rules do apply to student credit cards: issuers are restricted in how they market to college students, and they must require applicants under 21 to get adult co-signers for the accounts, unless young people can show they have independent incomes to pay their bills. Many of the credit cards included in the IndexCreditCards.com survey offer low teaser rates, but the survey takes into account only the rates that take effect after the introductory periods expire. The survey includes the various rate tiers card issuers offer according to applicants' credit histories to pinpoint a single average. Just as consumers with excellent credit can qualify for credit card rates below the average, applicants with poor credit typically must settle for higher-than-average rates. Some rate tiers vary by as much as 10 percentage points for the same credit card, with the top rate exceeding 20%. 0 Responses to "Credit Card Rates High But Stable"